Originally published by Harry Stanley in three separate parts (1955, 1956, 1958) this ebook is a complete remake of all three parts in one volume with new photos taken by Martin Breese and posed by Paul Gordon. The card magic presented is exceptional. It also explains all the basic moves Cy used to perform the tricks described. This classic trilogy therefore can serve as a wonderful introduction to card magic or be a treasure trove for those who are looking for some beautiful effects. You will find many well structured classics like Ambitious Card or Three Card Monte as well as some unusual effects. Among Cy's teachers you find legends such as Dai Vernon, Charlie Miller, Paul Curry, Bruce Elliott, Bill Simon, Edward Marlo, and Chan Canasta. No wonder this book is that good. 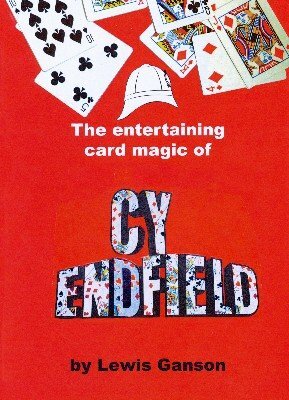 Cy Endfield was an interesting man. Born in Scranton, Pennsylvania, he studied at Yale and then worked with the New Theater League in New York. From there he moved to Montreal, and then Hollywood, where an encounter with Orson Welles at a local magic shop led to work as an assistant with Welles' famous Mercury Theater group. After his service during World War II he began directing short subjects for MGM. His American career was cut short in 1951, when his political activities during his college years caused him to be blacklisted during the McCarthy era. He relocated to England. He continued his directing work there. His most famous movie is Zulu. He discovered Sean Connery who played in Hell Drivers (1957). And on top of all that he was an inventor and designed a system for a one-handed computer keyboard and a unique chess set. You can find more of Cy Endfield's work in Pabular and the Gen. This remake first published 2009, PDF 224 pages.